Unlike other energy sources, propane gas is easily transportable and can be used in a multitude of ways whether residential or commercial : heating systems, cooking appliances, vehicles, equipment, etc. Considered as a clean, non-toxic energy source, propane gas does not emit any particles that are harmful to your health. 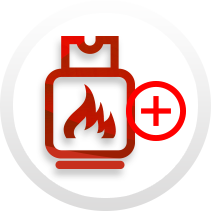 No chimney deposits form since propane burns without producing soot or smoke and alleviates the need and frequency of equipment maintenance. In general, equipment fueled by propane gas has a longer useful life and reduced maintenance costs. These units provide cheaper, faster and more constant heat than electrical units. Strict standards ensure security by regulating the equipment, the handling and the use of propane gas. Propane gas is stored in puncture proof reservoirs and an odor additive is added to help detect potential leaks. By choosing a propane gas fed heating system (fireplace, furnace or water heater) or your cooking appliance (BBQ or stove) you will enjoy one of the best performing energy solutions. Whether you need refueling, installation or maintenance of your propane system rely on the expertise of Propane Léger for professional service performed safely and according to industry standards. 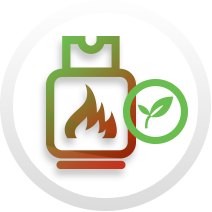 Propane performs better and more economically than other fuels and your operations will be more efficient and hassle free. Many companies and institutions profit by using propane: restaurants, hotels, hospitals, businesses, public institutions and schools, etc. Count on our certified technicians experience to ensure the supply to your heating or cooking equipment and their proper operation. Propane delivers a low ecological footprint and is therefore appropriate for several agricultural applications such as drying harvests, insect and weed control as well as heating livestock buildings. Independent of electrical sources, propane is a reliable solution that ensures your continued operation stress free and without constraints to your operational efficiency. Used for asphalt or concrete or to heat temporary facilities, propane efficiently supplies equipment to fulfill entrepreneurs’ diverse needs. Propane supplied systems produce immediate heat and do not have energy losses. In accordance with security standards, Propane Léger delivers to the West Island of Montreal, Vaudreuil-Soulanges, Beauharnois and Eastern Ontario propane reservoirs and tanks directly to your construction site. Due to its low consumption cost and reduced maintenance costs, propane is the most common alternative fuel source in the transportation sector; notably delivery trucks and school buses. Propane’s ecological and energy efficiency properties make it ideal for different types of equipment such as lift trucks. Are you looking for an energy versatile solution? Contact us for more information about our propane gas services! Security conscious our technicians pay special attention to installation standards as provided by the Régie du bâtiment du Québec (RBQ). On location, we perform verification tests and produce a conformity rapport that the installation conforms to RBQ criteria. In addition, the technicians will explain proper usage of your system to ensure your comfort and optimal yield. Propane equipment is reliable and enjoys a long life, it is essential to regularly employ maintenance services to maintain optimal efficiency. 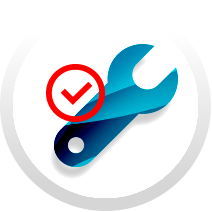 Our qualified technicians perform our maintenance plan which permits to detect anomalies and ensure the proper operation of your equipment to ensure you fully enjoy their use for as long as possible. We service all brands and models of propane systems. In case of breakage, our certified (Corporation des maîtres mécaniciens en tuyauterie du Québec ) technician will visit your home to evaluate damages and repair costs. 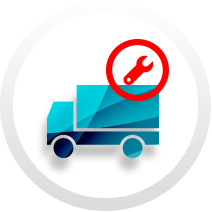 We are also available to check on the state of your equipment and validate it is operating correctly. 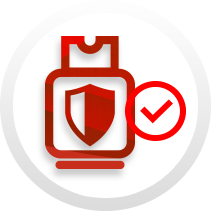 Trained to the highest industry standards, our drivers and technicians ensure your propane supply is made in the utmost safety that conforms to current standards. 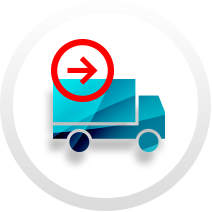 We offer two delivery options to provide our clients with flexible choices: automatic refueling or on call delivery. This option eliminates your need to monitor reservoir levels and planning your next delivery. Based on your consumption needs, refueling of your reservoir will be on a fixed date to ensure a constant supply of propane! This service can be matched to a 10 month budgetary plan interest free. 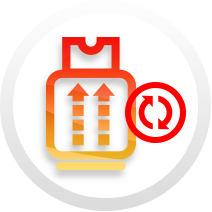 This option enables you to manage your propane procurement and benefit from our delivery service as needed. You operate hassle free because our delivery will occur without delay. Contact our team for more information on our services!